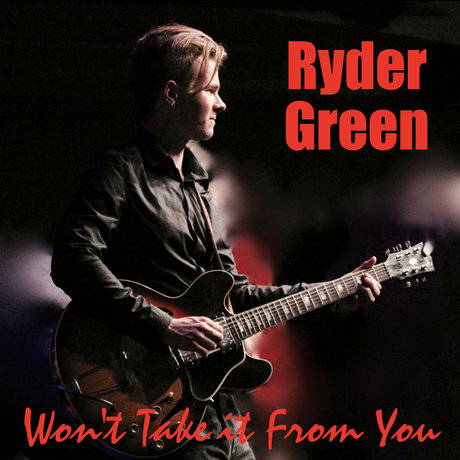 Early in life, Ryder Green began captivating audiences with his virtuoso guitar work, delivering uplifting passionate blues drawn from many influences. Now an accomplished singer/songwriter as well, his distinctive tone and infectious original songs and vocals ignite crowds of all ages. Whether wailing on his favorite Gibson Les Paul or changing it up for effect, Green brings a riveting energy on full throttle with sublime vintage blues, blistering hard blues and gritty shuffles. With influences from the likes of Freddie King, Eric Gales, Chris Cain, Matt Schofield, Stevie Ray Vaughan, Jeff Beck, Johnny Winter, Joe Bonamassa and many more, a kind of boosted, old soul vibe reaches out to listeners. One minute you’re hearing an original slow blues solo that transports you to the magic of blues masters of yesteryear. Next, you’ve got his own thundering rendition of “Goin’ Down” that became a signature selection. His many originals have now taken on a life of their own as well, and frequent fans at his shows eagerly anticipate those familiar sounds. ¡Gracias por sus palabras, un gran abrazo!